• Now with stickers such as wigs, evil eyes, funky glasses for you to “dress up” people in your pictures! 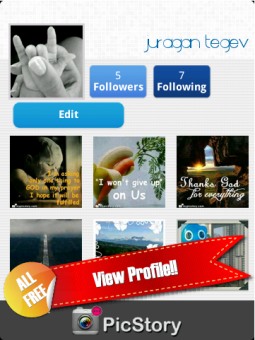 Upload, view and compose your very own PicStory, THE place to see and be seen. ALL stickers, frames, filters are FREE! NO trial, NO credit, NO top up and NO Mix-up! 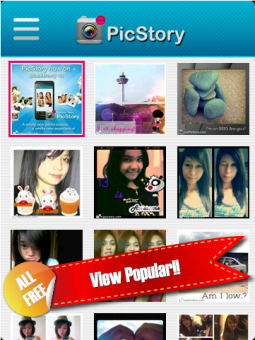 PicStory allows you to compose pictures with our famous layouts, frames and sophisticated filters. A picture may speak a thousand words, but with PicStory, why not say more! Let PicStory be your graphics team and upload stunning creative artwork to your social networks and show off to your friends. Do all this knowing we will never ever charge you for anything. Because we love seeing creativity take flight. EVERYTHING FREE! NO IN APP PURCHASES EVER! NOW WITH EVEN MORE FEATURES!